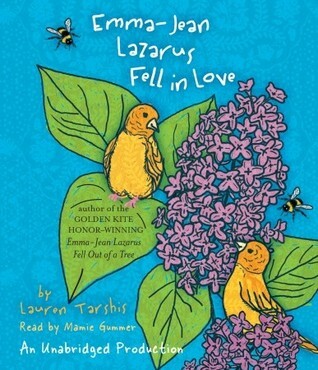 Love is in the air at William Gladstone Middle School, and even super-rational Emma-Jean Lazarus is carried away. Her heart flutters in the most peculiar manner whenever she sees Will Keeler. Does this mean that she should invite Will to the upcoming seventh-grade dance? Emma-Jean’s new friends say no, but how can they be sure? And what about the mysterious note that Collee Love is in the air at William Gladstone Middle School, and even super-rational Emma-Jean Lazarus is carried away. Her heart flutters in the most peculiar manner whenever she sees Will Keeler. Does this mean that she should invite Will to the upcoming seventh-grade dance? Emma-Jean’s new friends say no, but how can they be sure? And what about the mysterious note that Colleen has discovered in her locker? Finally Colleen has a boy who likes her! Just thinking about him makes Colleen feel brave and strong. And she is convinced that her genius friend Emma-Jean will find out who it is so Colleen can ask him to the dance. But as Emma-Jean knows, nothing is simple in the seventh-grade wing, where misunder­standings lead to disaster. And this latest adventure takes Emma-Jean into the most mysterious and irrational place of all: her own heart.